First of all, in January I hit a big milestone by finishing my 200th pair of socks! 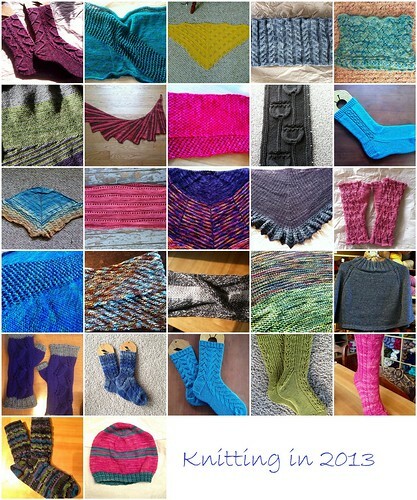 In February I went to Stitches West with a few of my local knitting friends, and had lots of fun! I also started working at a local yarn store, Bad Woman Yarn. March was my knitting group’s annual retreat. 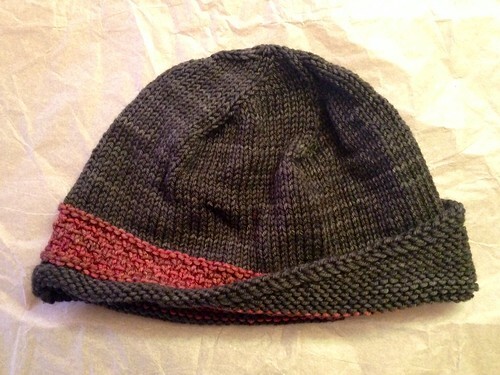 In April I attended Vogue Knitting Live here in Seattle, which was a lot of fun. I got to spend some time hanging around the Cooperative Press booth. For my birthday I visited my friend MJ in Wisconsin, where we stayed up insanely late every night cooking, and hatched a scheme to start a podcast, which became Starjay Knits. In June we started our podcast, and we’ve had so much fun doing it this year. In July I started my Rastita Design Challenge with my friend Cory of IndieKnits. 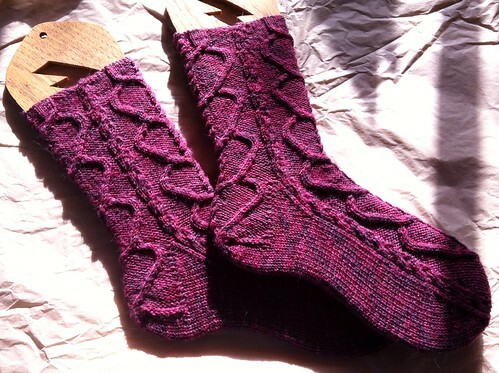 Early November was Knit Fit, where I had a great time teaching a class about sock toes and heels, as well as attending Game Knitting and hanging out with my friend Stephania of Three Fates Yarns in her booth. In the past few weeks I’ve been wrapping up some projects and doing quite a bit of gift knitting (even though I vowed I wouldn’t). 1. Start and finish a sweater for myself! 3. Knit at least 12 pairs of socks. I’ve set myself up a little “personal sock club” for this – each month I will randomly generate a number and do that project off the list. The variation is that 4 of the projects are barely-started sock WIPs, so I’ll also make progress on goal #4. 4. End the year with 1/2 the number of WIPs! I’m starting the year with (officially) 36 WIPs, though I know there’s another one at least because I remember one more that isn’t listed in Ravelry. But we’ll just say end 2014 with 18 or less WIPs. I can finish or frog, but everything must be off the needles or it counts as a WIP. 5. Spin at least 1 pound of fiber. I also want to keep all of you up to date by blogging more! I hope all of you had a fun and productive 2013, and will have an even better 2014!